I've visited with several young men in our area in the past few months as they were working on their Boy Scout Genealogy Merit Badge. Not all of them were fully 'infected' with the genealogy 'disease' yet, but they have at least been exposed to this fun and addictive hobby. Frequently, I see adults buying stamp collecting kits for our youth but seemingly failing to introduce them to the much more rewarding hobby of family history. My mother introduced me to family history research when I was six and I've enjoyed it since. There is always another 'brick wall' puzzle to solve. 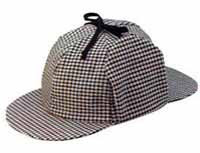 I enjoy trading my occupational hat for my 'Sherlock' family history hat whenever possible and exercising my mind as a genealogy sleuth. If you haven't exposed your children, grandchildren or young friends to genealogy yet, now is the time. Here in the northern hemisphere, it is winter and so inside activities rule the day. Buy a $4.50 hanging file folder box from Walmart for each of your young folks then create some research, photos and records collection goals and send them on their quest. We all played some form of auto bingo when our parents were trying to keep us entertained on long auto trips when we were young. Perhaps you could create a similar game but have it involve family history items. If you need some 'How Do I Get Started Help' ideas, click here. Don't forget to include interviews with yourselves as well as grandparents, aunts and uncles on the list, so you will have someone else to not only help entertain them for a while, but give them information that may be new to even you. Since you are already interested in family history, consider volunteering to be a genealogy merit badge counselor in your area if there isn't one already. Here's a list of items that I ask the scouts in our area to complete as part of their Genealogy merit badge preparation. You can read the current merit badge requirements here. Create a timeline for yourself or one of your parents. Write a short biography for the person that explains the events on the timeline. i.e. Birth, marriage, broken arm, brother / sister born, graduated from school or a grade, etc. Interview someone in your family and write down the information. Mom, Dad, grandparent, etc. Ask them questions about when and where they were born. What is their favorite food? Did they like school? Do they have a nickname? What is their favorite color? Favorite snack food? Etc. Get the full names, birth, marriage and death dates (if they have passed away) and places these things happened for your parents and grandparents. You should know your own birth date and birthplace … Right? Fill out the pedigree chart starting with you. Collect the full names, birth dates, birthplaces and marriage information for your parents’ siblings (their brothers and sisters) and for your grandparents (all four grandparents). There isn't a similar badge for girl scouts, but meeting the same requirements would certainly qualify for an award from parents, grandparents, mentors or even many church groups. Teach them young and they will remember the lessons throughout their lives. A great place for children to build their Family Tree, Timeline, Biographical Sketches, etc. is Geni.com. The website is easy to use but very powerful at the same time. Also, the collaboration aspect enables the users to get the most knowledge with the least effort.